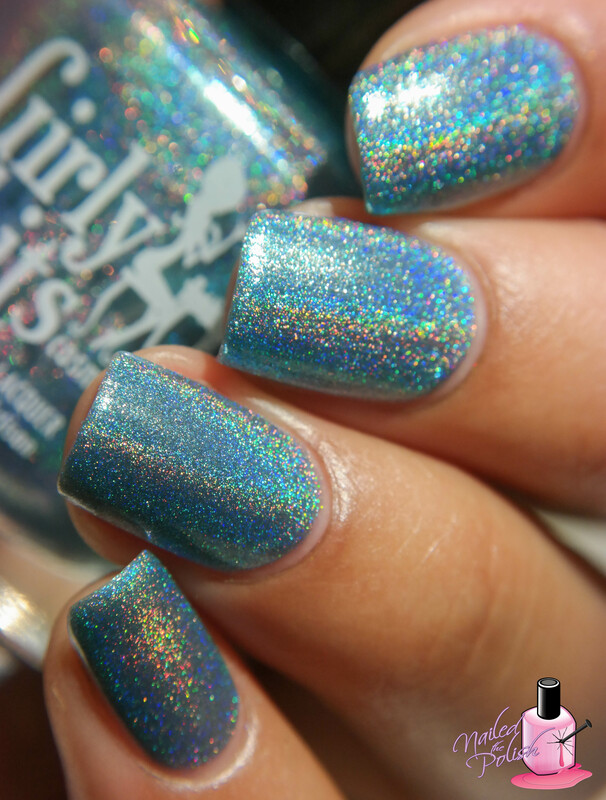 I Want You To Want Me is a blurple crelly with scattered holo and blue and purple iridescent flakes. Shown here is two coats plus top coat. This polish has a slightly thick consistency due to all of the flakes but it is really easy to control. It also levels exceptionally well! The iridescent flakes in this polish give me life! Keep It Simple… Cupid! is a lavender leaning pink linear holo with added metallic pink flakes. Shown here is two coats plus top coat. This polish is slightly thin in consistency but has amazing coverage! It’s also easy to control and levels great. The holo flame is so strong in this polish! 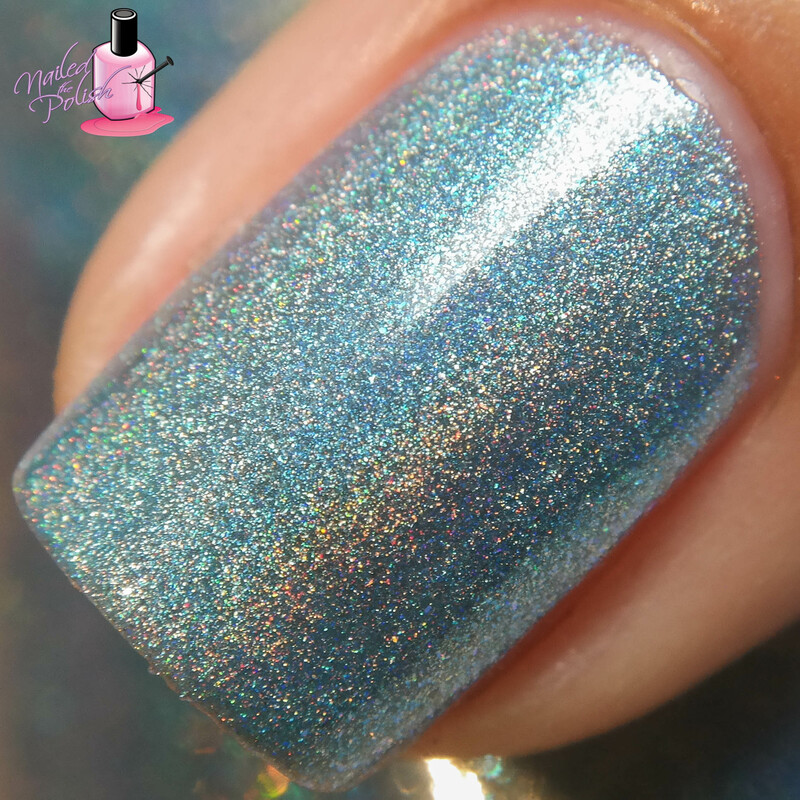 A Real Gem is a stunning intense aqua blue linear holo with added metallic blue shimmer. Shown here is two coats plus top coat. Great formula! I love how the added shimmer gives this polish a metallic effect that intensifies the already intense linear holo. Trust me when I say you don’t want to miss out on having this beauty in your collection! Last up is I Want Your Texts – a slightly metallic intense black linear holo with metallic violet flakes. Shown here is two coats plus top coat. This polish is glorious! Seriously, absolutely uh-may-zing! *insert lots of heart face emojis* This is easily one of my favorite black holographic polishes in my collection! I. Am. Obsessed!! Not just because this is an all holo box but because each polish is fantastic! You DO NOT want to miss out on this box – plain and simple! This box will be priced at $50 and includes domestic shipping (international shipping extra). Pre-order will be here starting Monday, February 1st, through Thursday, February 4th.